Every few years the practice undergoes an in depth inspection of standards of care, the teaching opportunities and abilities of the registered trainers. 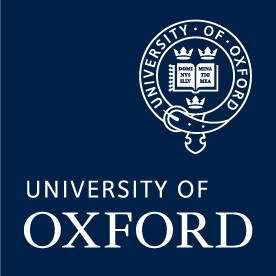 Dr Albert and Dr Hancock are approved as trainers in the Oxford Deanerty. Burford Surgery is a long established training practice that goes from strength to strength and the current trainees recognize that they have a learning experience which is hard to match for their colleagues in their trainee group. The primary care team is open and inclusive and welcomes and integrates new trainees on arrival. The induction programme is tailored to the traineeâ€™s needs and follow up attachments to team members are arranged once they are 2-3 months into training. There is willingness by all team members to help and support trainees in their learning. The atmosphere is friendly and busy and leavened with laughter. The Doctors learn together with regular clinical meetings which they resource themselves. This includes the sharing of videos of their consultations. They have a full programme of SEAs and reviews which they ask the trainees to chair. On the day of the visit the surgery had a deceptive air of calm but we understand that Burford, like so many practices, is no stranger to long days and pressing paper work. However the trainees confirm that they do not feel that they are used as 'work-horses'. Patients are seen promptly and receive a very personal level of attention and follow-up. The organization and information handling in the practice is of a very high order. In particular the intranet would be the envy of any training practice. Both of the current trainees say that they would unreservedly recommend this training practice. Previous approval reports have commented on the apparent paucity of audits. On this visit we had evidence of active participation in formal 8 point audits by the current trainees. In addition we were aware of the sophisticated programme of quality improvement effected by ongoing monitoring of different medications. We suggest that the different forms of evidence based change management should be made more explicit to the trainees. There is a depth of experience and expertise in education throughout the team. There is potential and opportunity for more co-learning and co-teaching. Tutorials could be switched between the two trainers, other partners could be trained to share the COTs and CBDs, ST3s could share the training and supervision of students, Nurses and health visitors could increase both their formal and informal involvement in training. We suggest that the practice explores different ways to maximize their teaching and learning potential. The case mix experienced by trainees develops opportunistically with some patients being allocated to the trainee as the usual doctor. In a relatively small practice with two trainees the breadth of experience may be enhanced by more active management of the case load. The ongoing care for new mothers, for the disabled, the terminal cases and other special groups could be valuable experience for the trainees. We suggest that you consider a more proactive approach to case allocation. The practice is expecting changes in the near future including Angela's departure and the arrival of two new salaried assistants. We suggest the partners make firm plans to secure the same standards of training well into the future. The trainees much appreciate the friendly, open and supportive learning environment at Burford. Simon is clearly a central player in establishing this atmosphere. He has an impressively high energy level which he devotes to his work at the practice and in his commitment to the new initiatives in the federation of West Oxford practices. He gives the trainees the benefit of his experience as a trainer and is familiar with all aspects of best practice. He has an engaging and facilitating approach to one to one teaching in his tutorials. Most striking of Simon's many attributes is his work with IMT. The Intranet and prescription monitoring and the preparatory paper work for this visit are examples. While discussing alerts for children on the safeguarding list- Simon added this protocol while we were there. Trainees, and indeed other members of the deanery could benefit hugely from his knowledge and experience. Simon has not recently met his obligation to participating in practice approval visits. With the arrival of integrated DOPS all trainers will have to re think how much they use joint surgeries in the ST3 year. Simon and Julian could try different patterns of joint surgeries, even an hour a week to observe consulting. Similarly they could consider joint visits. This would also enable the trainees to have more exposure to different clinical supervisors. There tends to be a long interval between Gold Standard meetings and this becomes a very long interval if a trainee has to miss one. It may be worth considering a monthly palliative care meeting which would have the added benefit of helping the liaison with District Nurses. Julian brings a national perspective to his training with his broad portfolio of interests outside the practice. The OXVT10 talks of the benefits of Julian's recent involvement with the CBT course for trainers and the effect it has had on his structured approach to training. The approval reports in 2009 and 2012 were very complimentary about Julian's high standards and performance as a trainer. In particular the previous commentators mentioned his prompt and supportive comments in the ePortfolio. In 2014 we are echoing these commendations. We suggest that both Julian and Simon share and discuss video recordings of their tutorials. There may be much to learn about the teaching styles that they use (or not). We suggest that Julian updates his trainer's educational PDP. We suggest he also considers different formats for planning and recording the content of his ( and his trainee's) tutorials. Established Training practice with excellent reputation. Intranet and Website are the best the visiting team have seen; clean, well formatted pages, fast and all relevant information available easily. A genuine "Learning Organisation" in Senge tradition! Encourage Debra to become a Visiting Practice Manager for the Deanery. More work on tightening up the computerised EMIS summaries and consider obtaining 'Docman' to optimise manipulation of correspondence within the practice. The wonderful amount of informal communication that occurs over the daily lunch meetings may perhaps impinge on more formal arrangements. A balance of both is ideal to ensure everyone knows what is going on. Highly efficient, intelligent and organised doctor and trainer with outstanding IT skills. Safety questionnaire, rating scale use with regular reviews, Learner progress monitoring. Consider the use of joint surgeries and mutual review of video tutorials and consultations with Julian and the Learners in the practice. The VTS would definitely benefit from any extra input you were able to provide. Consider the use of joint surgeries and mutual review of video tutorials and consultations with Simon and the Learners in the practice. Thank you Julian for your contribution to education in the Oxford Deanery - we are lucky to have you. We were particularly impressed that your current learner made such an effort to return from Hertfordshire to add support to your application. - The Intranet; a comprehensive, well-organised and maintained resource, with a particular emphasis for learners in the Practice. - The work in progress for development of the nursing team. - The complaints protocol: ‘values of our complaints system’ – which include “transparency” and “humility”. …And the general high profile of training within the Practice. We wondered whether the Practice would benefit from pushing their strategic planning a little further forward, to maintain that training edge for the future, with the changing needs and expectations of Doctors. For example they might take their lead from the vision that is being developed by the nursing team. The nursing team also expressed to us a real desire to be even more formally involved intraining, from initial planning to finding out learners’ agendas and giving/receiving feedback. Audit – whilst acknowledging that the current monthly surveys are comprehensive and go beyond QOF in scope and quality standards, we thought the [documentation] of associated audit activities, action plans, cycle-completion-planning, etc could be raised to the same excellent standard as the event reviews for instance. IT – some of the notes we looked at were starting to look cluttered by multiple note entries for the same significant episodes: a strategic policy plan now would safeguard future loss of quality/clarity. Simon and Julian have supportive styles adding different elements to the whole educational experience. Moreover both appeared to be enthused by training and training came across as being great fun. In particular for Simon, we would highlight his comprehensive learning and teaching portfolios, reflecting his dedication and hard work to the practice, self development and as educational supervisor. His intranet is stunning in its clarity – perhaps a side-line business opportunity! In particular for Julian we would highlight how, we felt, from various observations on the day, his professionalism came out in his open, sensitive and non-judgemental dealings with patients and colleagues alike, listening and taking in the thoughts of others. For Simon we hoped that his work-life management was in balance, since it is as important to model this for our learners as with other GP skills: at feedback he assured us it had improved; we trust that his 360s/family will confirm this. It was very enjoyable discussing with Julian his thoughts and endeavours regarding variation of style with learners; their needs and wants, and, as previously mentioned, we would suggest he consider looking further into the Cambridge-Calgary methods. We suggested that they should approach the next assessment with more ‘confidence’ in their Practice: things are obviously working very well, so rather than showing just the smooth surface they might use the OXVT3 to also reflect on areas that are perhaps not quite as effective. The first thing we noticed was that the whole team was motivated and enthusiastic about both patient care and Burford Practice and the doctors themselves are a real team offering both inspiration and leadership to the practice. They recognize their different skills and resources and recognize the strength of each other and use those. There has been a change in practice management in the last six months and with Debra coming in she has built and developed the practice team in Burford to make a happy, cohesive team. From the audit, from the notes, from discussion we feel the patients in this practice have excellent clinical care and this has been facilitated by a high quality of clinical records and managed patient care that has been going for some many years. There is excellent access to the practice with readily available appointments for the week of the visit and subsequent weeks. There has been intensive IT development both the excellent website and intranet that is underpinning the patient care and information for patients and staff and there are plans to continue developing this intranet. The records are well organized, fully computerized and contain complete history and summary. There are fully evidence based, up to date practice protocols on many clinical conditions and we recognize the work done by Simon Albert in this. There are regular practice awaydays and educational meetings that all members of the team found fruitful and useful and aided development within the practice. The whole atmosphere at Burford was demonstrated by their full team practice lunch that they have everyday with lunch provided for whichever member of the primary health care team turns up, where all sorts of things are discussed and sorted out. Our observations are limited and have been shared with the practice at the visit. 1) The practice is planning to develop the intranet and this should include the admin protocols. 2) We suggest that practice looks at the telephone access as sometimes we had difficulty in getting through. It might need an extra line. 3) With Debra now in post a strategic plan for the future might well help in the development the practice has planned in the Carterton centre. In conclusion: we felt that Burford was an excellent place to be a patient, member of staff and certainly a GP Registrar. As one of our members said in the discussion “I can’t remember being as impressed by a practice as I am by Burford”. There is excellent planning and co-ordination between all three trainers with the use and sharing of skills between them. There has been an increase in the involvement of team members in teaching. We felt that this could yet again expand to use the various clinical groups to run specialist tutorials. It was a joy to speak to Kirsty the flexible careers doctor who was last years GP registrar who was very satisfied with her care and teaching. We observed skilled teaching from all the trainers in the practice. All three showed different and great skills. All three are well prepared, having excellent paperwork and looking forward to expanding their teaching prowess in the development of the Carterton centre. There are regular three month assessments by both Oliver and Simon that we saw, and were very helpful in the development of the Registrar. There are regular 360 degree global feedback from all groups in the practice that have attributable comments fed back to the Registrar, and in fact all the doctors. This was a very powerful, useful tool. 1) With personal lists and three full-time doctors there might be difficulty in the Registrar having access to chronic disease cases, but the practice is aware of this and they are keeping an eye on it. 2) We look forward to hearing about the expanded teaching and learning to include all members of the team in the development of Carterton. The overwhelming impression is of an extremely well run, efficient, friendly and enthusiastic organisation. There is a very open culture, based on sensitive, supportive formative assessment for all. Excellent access to high quality patient care is provided to enviable standards. There is a strong educational core to the practice, and learning development for clinicians and administrative staff alike is evidently a priority. The registrar is supernumerary, yet receives a high quality educational experience in most aspects of general practice, in a positive, motivating environment. Of particular note is the effort put into communication, through the award-winning newsletter and the practice website, www.burfordsurgery.co.uk. The latter is a superb example of a patient and registrar information service, and is a model that other training practices would do well to attempt to copy. we are delighted to record the progress made on implementing the recommendations made by the previous inspection team. Genuine progress has been made on the quality of computer summaries, and further effort is continuing within the limitations of the computer system. Although chronic disease management is effective within this practice, the absence of dedicated clinics presents an obstacle to traditional training on this topic, both in terms of numbers of patients the registrar sees and the sharing of care with other health care professionals. The registrar may need to spend time with other practices to experience a more traditional model of care. Audit is a central tool for monitoring patient care at Burford, but issues around standard setting and presentation of the cycle [explored more fully later] need to be more clear and realistic to effectively demonstrate audit to the registrar. It seems unfortunate that with dedicated and skilled nurses, the practice feels unable to develop a flexible nursing team programme because of perceived Trust regulations. Since other Trusts promote multi-tasking, there are precedents to follow, and it would be regrettable if initiatives were stifled. Of particular note are his I.T. skills, so very evident in the development of the paper-free records and the website, his impressive assessment programme for registrars, and his telephone-triage consulting method. This visiting team have all taken several development ideas back to their own practices. Time will be a limited resource when wearing the extra hat of Course Organiser. With Simon Albert preparing for training, Oliver has the real option of delegating more of the tutorial programme, while still playing the role of educational organiser/mentor. Shared teaching with nursing colleagues, especially on CDM issues, would be worth considering, to the mutual advantage of the nurses and registrar. The practice offers a very honest environment in which there is open sharing of all issues. Not only is this commendable in its own right, but it also offers a very good environment in which Registrars could learn about systems, both in terms of their strengths and their weaknesses. The practice is highly innovative, but change is very well managed. This offers an excellent opportunity for the Registrar to learn about the management of innovation and change. Within the building communication is at a very high level. There has been a major emphasis on summarising of historical notes which means that this is now becoming a practice in which all records will be available in an electronic form. Time set aside for training is well protected, not only for the Registrar but also for others (eg the Practice Nurse). This empahasises the commitment of the practice to personal development. We would particularly like to highlight the following innovations as ones that other practices might wish to consider - the development of "Patient Managed Care Programmes"; the development of weekly educational activity funded by the Partners looking at many aspects of General Practice; the development of a fail safe procedure for the management of abnormal results; the widespread adaptation of videotape recording as a personal development tool across all members of the practice team. Finally all of us made a particular comment about the cleanliness and organisation of the building - it provides an enviably professional atmosphere. In making the following recommendations we wish to highlight the fact that we see these not as criticisms, but as suggestions for areas in which the team may wish to consider further development. Difficulties with the particular computer system "EMIS" have meant that the summarising of all historical notes has produced very long active problem lists. We suggest that the team may wish to look at ways in which these lists can be prioritised in some way to ensure that only the important problems are highlighted on the active problem list. This would considerably facilitate the use of the problem list by the Registrar. Furthermore, to enable the Registrar to learn about the difficulties associated with summarising and managing notes, we would like to suggest that written protocols are developed for the summarising of records and the appropriate pruning of records. Whilst many members of the team already have some initial involvement in training we would wish to encourage all members of the team to continue to take an increasingly active role in training as they have a very large amount to offer a Registrar. The movement towards patient managed care programmes has taken the practice on from traditional protocols. We would like to encourage the practice to involve the Registrar in all aspects of the development of the programmes. This change has also resulted in a shift in the way in which audit will be planned (i.e. the practice is moving towards evidence based audit) and we would strongly encourage the practice to involve the Registrar as much as possible in the audit of these programmes as the systems develop - we believe that this will give the Registrar an excellent insight into an academically sound approach to audit. His deep understanding of training arises from a deep understanding of Primary Care. He has enormous enthusiasm and energy. He is highly committed both to patient care and to training. He has demonstrated an imaginative use of videotaping, not only for training the GP Registrar but also more widely in the practice. He is insightful to his own weaknesses. The regular in-house educational sessions (in addition to the tutorials) offered the Registrar a novel approach to continuing education which is to be strongly encouraged. We would like to encourage Dr Sharpley to continue to integrate these sessions as part of the General Practitioner Training. This practice offers an enormous resource of expertise; we would encourage Dr Sharpley to increase the involvement of others within training. For example, a particular strength of the practice is the management structure - this offers an enormous opportunity for the Practice Manager to teach the Registrar on the strengths and weaknesses of approaches to management within Primary Care. Both Dr Sharpley and the visiting team did recognise that there have been some tensions in the management of the wider Primary Care team - whilst this has not had any detrimental affect on the amount of learning a Registrar could make with regard to individual patient care, open discussion of the issues might well help a Registrar understand in more detail the workings of Primary Care teams, and thereby enable themselves to move into practices with different management structures more easily. In common with many people who strive for high standards in all aspects of their work, Dr Sharpley and the visiting team recognised the potential risk of conflict with a Registrar who did not hold such high values. On the evidence available we saw that Dr Sharpley was well aware of this issue (for example by demonstrating flexible responses to a Registrar's suggestions) and we would encourage him to maintain this flexible approach in this area of potential difficulty. Because he has such a huge amount to offer, we would encourage Dr Sharpley to continue his personal and professional development. Possible options for such development were discussed.